Welcome to todays edition of Reader Request Thursday! I know it's Friday. I took yesterday off. 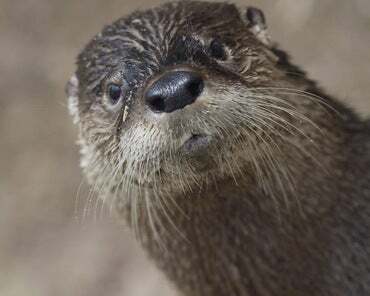 What, otters don't get a holiday? Anyhoo, todays request is one I've been sitting on for a while, and it comes from my loyal reader Orcim. So, if it gives you the willies, blame him. Todays subject is Ophiocordyceps unilateralis. Ophicumumbble mumbble is a parasitoidal fun.....what? Aw hell no. I'm not typing out that name repeatedly. Henceforth, I shall refer to it as OU. Happy? "Yay! ", you must be thinking. "I can spread this around my house and get rid of the little bastiges once and for all!". Well, let's think twice about that. I know some of you have read the wonderful book, 'World War Z', by Max Brooks. It's an interesting telling of the zombie apocalypse, as told by survivors. Well, he explained zombies as being viral. In his 'Zombie Survival Guide', he named the virus 'Solanum". Consider OU to be the Solanum of the ant world. When an ant becomes infected, it loses all control over it's self. OU first occupies the brain and makes the ant climb a tree. It then has it clamp onto a leaf with it's mandibles. Then it starts to grow. After a short time, the ant dies. But the parasitoid lives on, feasting on it's flesh. Eventually, OU has grown so much, all that's left of the ant is it's exoskeleton, which the OU has conveniently anchored to the leaf to prevent it falling. After 4-10 days, the OU is ready to reproduce. At this point, it grows a stalk out of the ants head. The stalk will contain a fruiting body that ruptures and releases the spores to infect more ants. Fossil records show this has been happening to ants for at least 48 million years. The infected ants are referred to as 'Zombie Ants', because the OU makes them all act in a specific way, right down to the location on a leaf where it will clamp down. You don't have to worry about it though. OU does not affect humans. Besides, it's only found in tropical jungles. So, mow your lawn, and you're fine. If you've ever played Halo, though, you've encountered OU. The Flood are based on OU. Also, The Last Of Us uses a similar fungus to infect humans and make them zombies. So, have faith friends. We may yet be turned into zombies!